The House of Chanthagon was canonically erected on 24 May 2006. It is situated on the outskirts of Mandalay city and is adjacent to the renowned Shrine of Our lady of the Rosary. It is also a community which welcomes and forms young women who are interested to discern their vocation for Salesian Religious life. 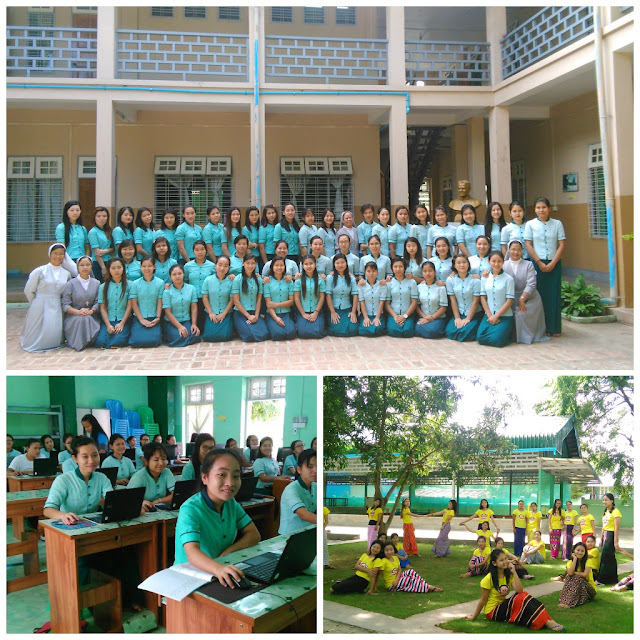 There are 49girls who are attending a 2 years Computer, LCCI and English speaking Course. Many are willing to attend the course in order to obtain good job for their future. There are also about 35children of the villages nearby our Community with regular after-school free tuitions, offering them also snack and school material. 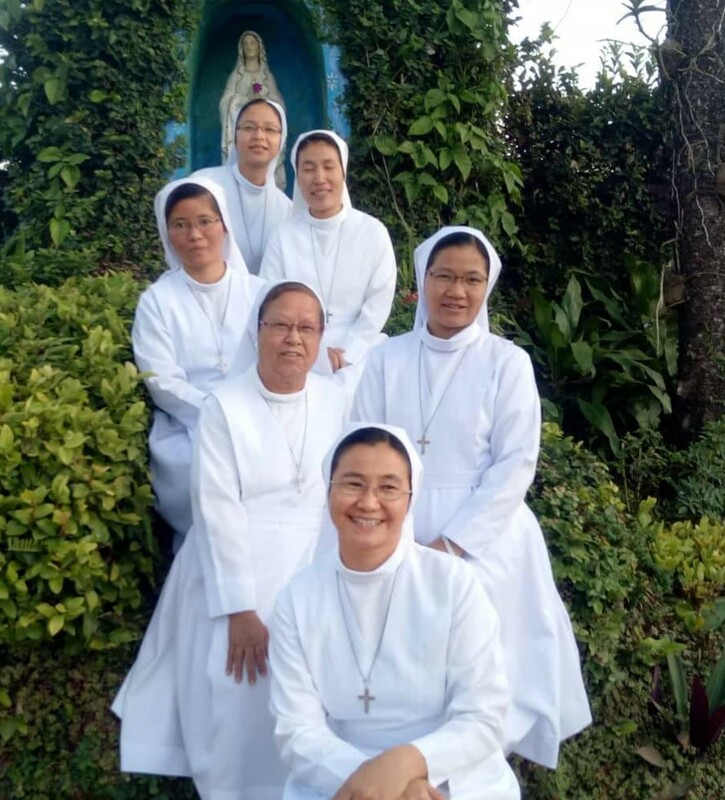 Since the house hosted the pre-aspirantate with the presence of observers, this year there are 9girls to observe the FMA religious life. As they attend the two year Course of Computer-Accounting they have got more chance to participate in the Community apostolic activities in Chathagone and Myouk Kaing villages, every Saturday, Sunday and Monday. 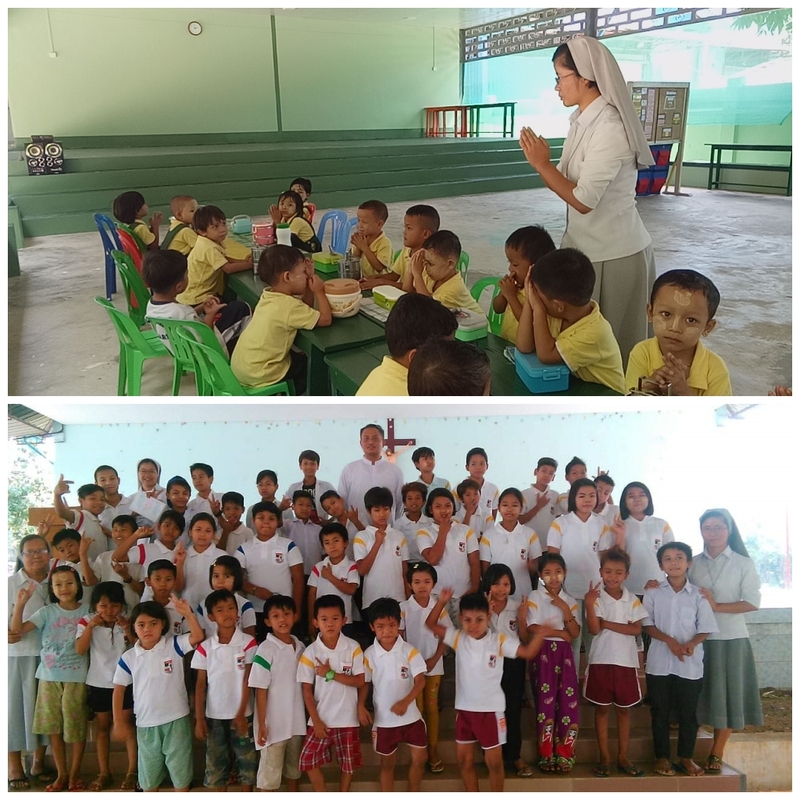 We have 50little children who come to our Don Bosco Kinder from the nearby villages.